HTC has announced that its Vive Pro headset will launch on 5 April, with prospective buyers having to shell out $799 for the new VR headset. The second generation headset is available now for pre-orders, with the Taiwanese giant also set to include a six-month subscription to Viveport with units picked up before 3 June. The original Vive headset, meanwhile, after experiencing a number of temporary price drops in recent months, will now sit permanently at $499. Those looking to pick up the first generation will also receive the Viveport subscription, which gives users the opportunity to pick up five titles every month from a catalogue of around 400 VR experiences. So, what exactly do you get with the Vive Pro? Well, in terms of specs, the headset comes packing dual-OLED displays with a combined resolution of 2880 x 1600, something which represents a 78% increase in quality over the original Vive. There's also a modified design, which includes built-in speakers and provides opportunity to rid yourself of wires through the optional Vive Wireless Adapter. Despite the pretty hefty payment it appears as though the headset package does not include the two controllers or base stations (which are set to be updated) — two things which are essential to the headset experience. When we first tried out the Vive Pro back at CES in January, we were impressed by the headset's capabilities, despite not feeling exactly like a true second generation device. Instead, it felt more like a system designed for VR obsessives eager for an upgrade in the hardware department. 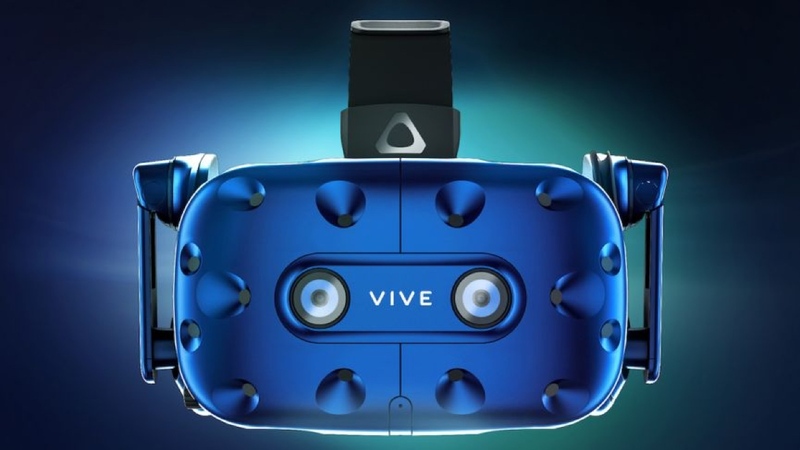 Since HTC has left out two components vital to the experience, and will ship the Vive Pro essentially on its own, it appears it also regards the main market here as existing Vive users. We'll hopefully be getting the Vive Pro in to test out in the coming week to help you decide whether you go Vive Pro or you're better off sticking with the first Vive.